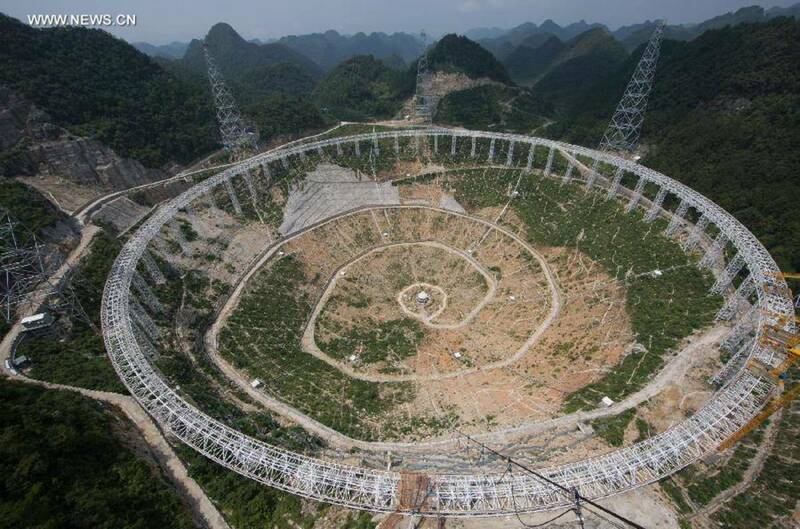 Dawodang, Kedu Town in the Guizhou Province of China is home to the largest and most sensitive radio telescope in the world. With the installation of the final of its 4,450 panels late last year, larger-than-life 500-meter Aperture Spherical Radio Telescope (FAST) is on the hunt for intelligent extraterrestrial life. 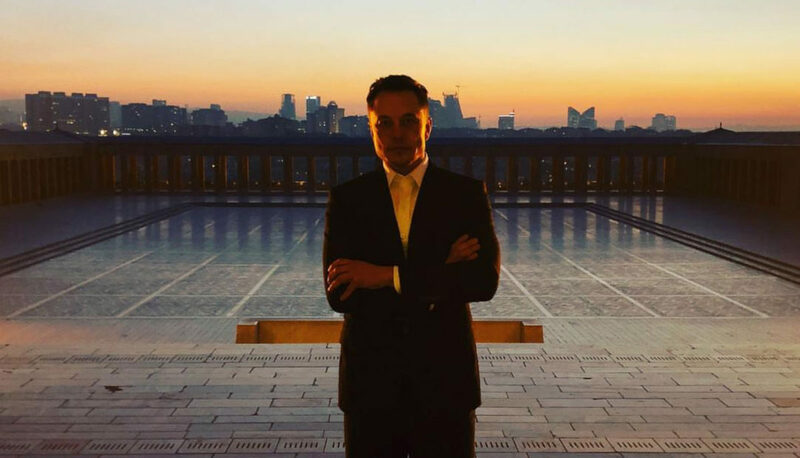 “FAST’s potential to discover an alien civilization will be 5 to 10 times that of current equipment, as it can see farther and darker planets,” said Peng Bo, Director of the National Astronomical Observation to state-run news agency Xinhua. The Chinese Government greenlit the project in 2007 when Dawodang, Kedu was chosen due to its remote location and mountainous terrain. First conversations of how to undertake such an endeavor began in 1994. 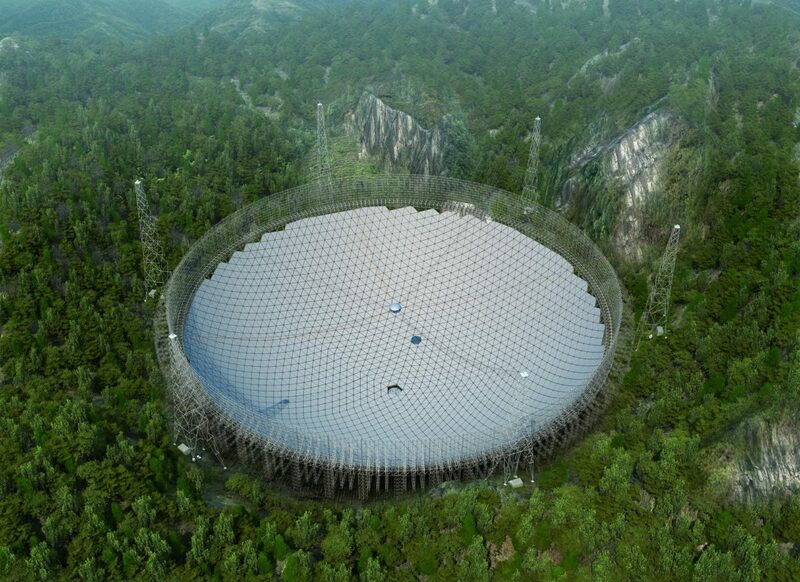 “As the world’s largest single-aperture telescope located at an extremely radio-quiet site, its scientific impact on astronomy will be extraordinary, and it will certainly revolutionize other areas of the natural sciences,” said Nan Rendong, Chief Scientist with the FAST project. The official construction of the FAST began in 2011 but not before China relocated many of the locals––raising moral questions about the human toll in the wake of exploration and discovery. The entire population of Green Water Village which sits on the crest of the mountain’s valley was permanently moved to accommodate the FAST’s enormous dish and surrounding monitoring and administrative facilities. 12 families made up the village and amounted to 65 people. Before the project, the villagers had very little contact and regular connection the modern world because their home was essentially enclosed by surrounding hills. The natural features of the village saved the Chinese government from excavating a massive hole the size of 30 soccer fields and from having to build a security fence or wall to secure it. China’s state-run newspaper Xinhua reported that over 9,000 locals were given no choice but to accept the 10,000 yuan ($1,500) for their properties and relocation from the FAST site. 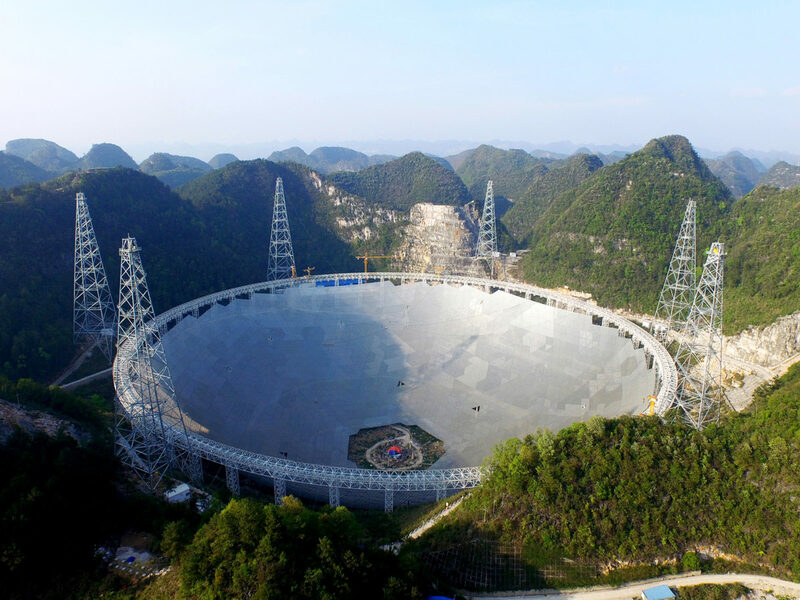 The FAST itself cost 1.5 billion yuan or $180 million to build and when it began the hunt for alien life late last year, it became the largest and most sensitive radio wave detector in the world. The telescope is nicknamed Tianyan meaning The Eye of Heaven, can capture double the sky as the Arecibo Observatory in Puerto Rico, which was the world’s largest single-dish radio telescope before FAST. China’s telescope does so by dwarfing the 305-meter Arecibo Observatory with double the sensitivity and up to 10 times the surveying speed. FAST’s larger and deeper dish will enable radio astronomers to detect fainter signals from much further away.